In the 1980s and 1990s, Guy Roberts-Holmes worked as one of a handful of male nursery and reception teachers in inner London primary schools. Guy thoroughly enjoyed this challenging experience and was eager for more insight into the wider context of early years education, and so completed a Master’s degree at King’s College, London. Guy then worked in The Gambia, West Africa, for Voluntary Services Overseas (VSO) and as a lecturer at The University of The Gambia. 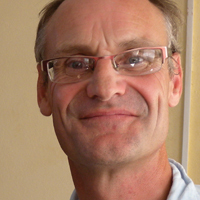 Whilst in The Gambia, he carried out an ethnography of a nursery and primary school, leading to a PhD at the University of Nottingham. Guy is the Programme Leader for the internationally renowned MA Early Years Education at the University College London, Institute of Education. His research interests include early years policy sociology, assessment, and the professionalisation of the early years workforce. Guy Roberts-Holmes will be discussing his ideas in Doing Your Early Years Research Project, a SAGE Masterclass for early years students and practitioners in collaboration with Kathy Brodie. Find out more here.